As Lutherans we practice two sacraments, baptism and communion. 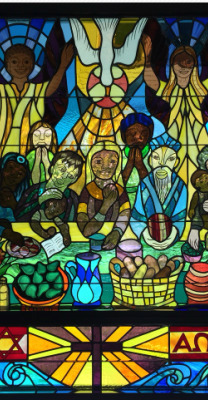 We celebrate communion weekly, and we invite worshipers to the table with these or similar words, "At this table, Jesus is our host, and all are welcome." Children are prepared for communion when they and their parents are ready, often around first grade. Until then, they come to the table to receive a goldfish cracker and blessing as signs of their belonging to God's family. Baptism is available to people of any age, infants through adults. We believe baptism is a gift of God--the beginning of a journey with Christ and his church, rather than an end result of any action we take.